A Guy Named Stoner, Can You Guess Why He Was Arrested? This Guy’s Name Is Stoner, Can You Guess Why He Got Arrested? This Guy’s Name Is Stoner, Can You Guess Why He Got Arrested? Leave it to a guy named Stoner to grow copious amounts of marijuana and then try to sell it to children. The Virginia man is facing some serious drug charges after police found more than $10,000 worth of marijuana plants at his home. Paul Scott Stoner, 42, was arrested by the Orange County Sheriff’s Police department and was charged with growing marijuana and having a firearm while in possession of more than a pound of marijuana. According to media outlets the charges that Stoner faces may stem from an ongoing investigation that was related to the sale of marijuana to children. As further charges may be pending, it seems as though Stoner was caught up from a tip that he was selling to children. 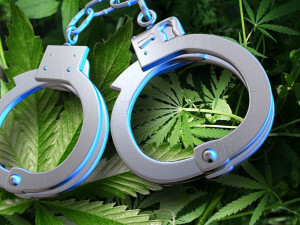 Authorities acted on this tip and during the search last Thursday they seized not only marijuana plants, but also drug paraphernalia, prescription drugs, needles, spoons and guns. Stoner is free on bail, but his hearing is set for August 27. Landlord Finds Out He’s Renting To A Hoarder, And It Was The Most Disgusting Thing Ever! These Kitties Were Tired, But You Won’t Believe Where They Decided To Nap!